Take a 2 inch sections to curl. Hold for 8-10 seconds and release it carefully and let sit. Continue to do this to entire head of hair. 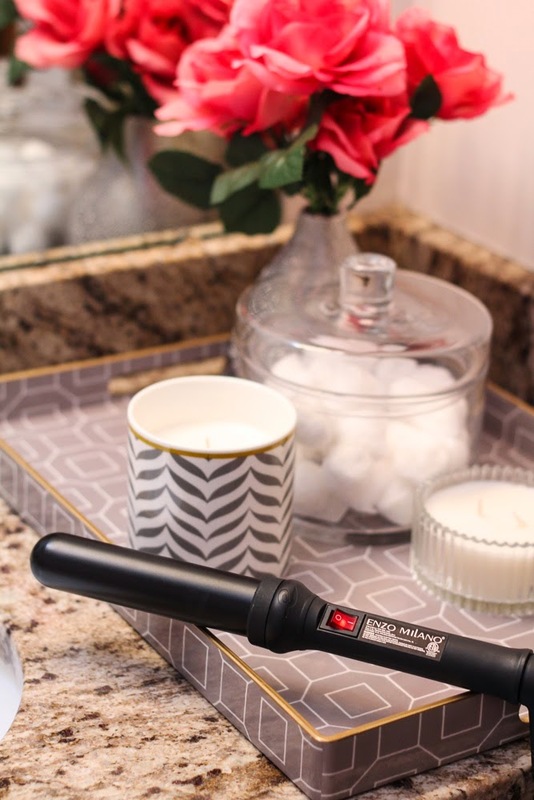 After curls have had time to sit, run your fingers to break up the curls and loosen them up. 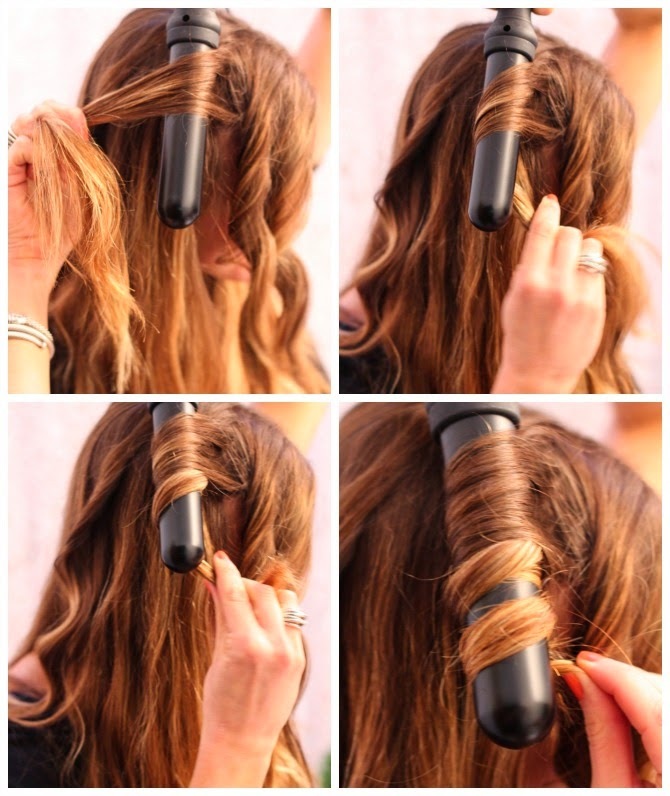 Finish with hair spray to hold curls. Let me know if you have any questions and happy curling! I usually need a heat protective glove! to avoid accidents! but I always seem to misplace the damn thing! 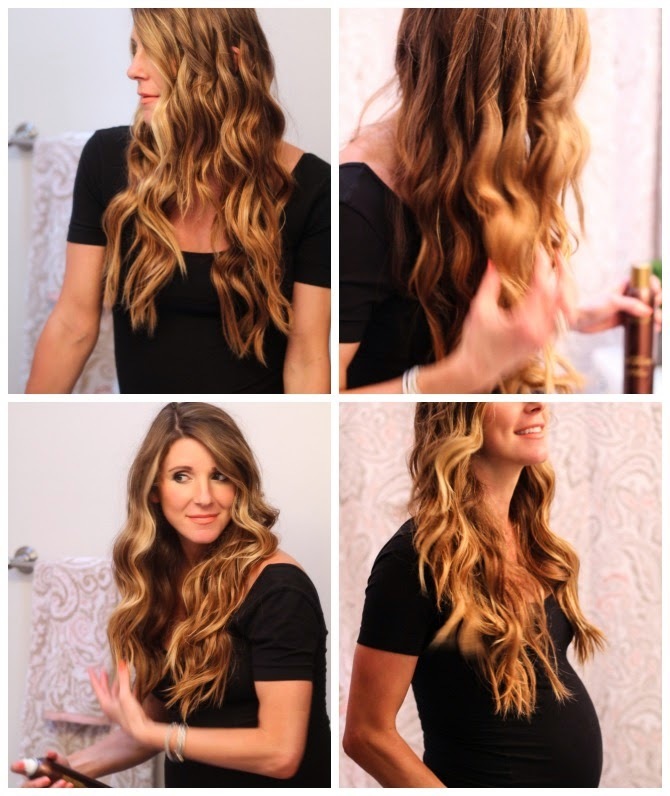 This hairstyle reminds me of Jennifer Aniston! So stunning! Love this!! You hair always look stunning! Thanks for sharing!